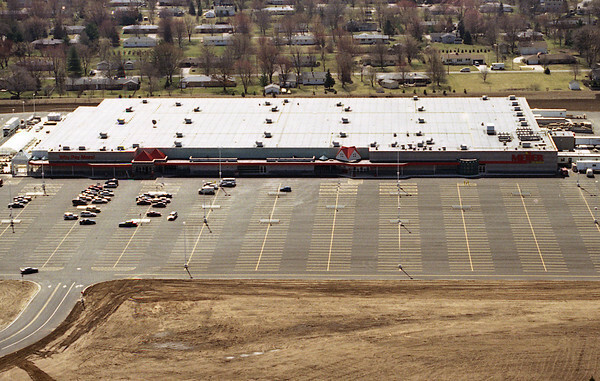 This aerial photograph shows the new Meijer store on Elkhart Road, which is set to open Tuesday. Meijer has hired 750 people for the Goshen store, which will open the same day as the new Meijer store at U.S. 20 and Ind. 331. Meijer combines groceries and general merchandise under one roof and is open 24 hours a day. The Goshen store, at 220,000 square feet will be the largest retail operation in Elkhart County. It will have 45 departments and more than 100,000 different products.